Auto Fast Glass – Call us today for a free quote! (818)-967-1324! Call us today for a free quote! (818)-967-1324! We offer free mobile service to your home or office. Choose Auto Fast Glass for state-of-the-art auto glass and windshield repair or replacement. Our professional technicians take care of any type of vehicle, whether it is a big rig or a compact car. With over 15 years of experience in auto glass installation, our expert technicians handle any window replacement. Our friendly staff is waiting to hear from you and will be able to give you an instant quote over the phone! Our staff works fast and reliably to offer you the best possible service around! 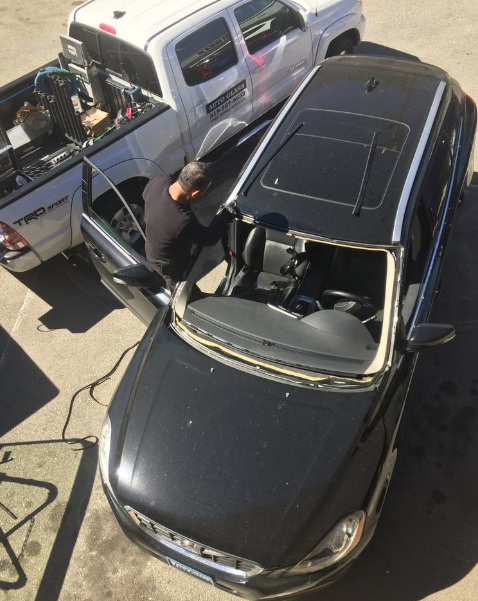 Our technicians will take care of cleaning shattered glass and ensuring that your car is clean and ready to drive when they're finished! We offer a Free Mobile Service! Our technicians will do the job anywhere you would like at no additional charge to you. Most companies will keep you waiting all day for someone to show up at your home or office.We understand the urgency of a repair or replacement and therefore, we will not keep you waiting. Our technicians will arrive within a two hour window. Don’t forget, same day service is almost always available!